For many companies, introducing a new IP is a gamble. The tendency of most companies is to stick with what works until it is completely chewed up and lost all of its flavor, then stick with it a while longer. Twisted Pixel is one company that doesn’t feel that way. Starting with Maw and continuing through ‘Splosion Man, and Comic Jumper, they have introduced entirely new characters in a loosely connected universe with each successive game. It thus came as a shock for some when Ms. ‘Splosion Man was announced, appearing to be a near sequel. For those of you who were afraid they were bending to corporate whims, behold yet another brand new IP, Gunstringer. The details are a little bit sketchy right now, but a few things are certain. You play as a gun toting marionette with vengeance on his quaint wooden mind. To control him, you’ll be using the kinect, presumably tugging at virtual strings. The trailer shows off third person over the shoulder 3D shooting gallery and 2D sidescroller gameplay, similar to what we saw in Comic Jumper. With their history of innovation, it will be interesting to see how the Twisted Pixel boys put the kinect to use. You can follow the game’s development at www.thegunstringer.com. Be sure to scroll down for the images and full press release they shared with us. It contains the sort of serious, dry business language we’ve come to expect from their stuff. 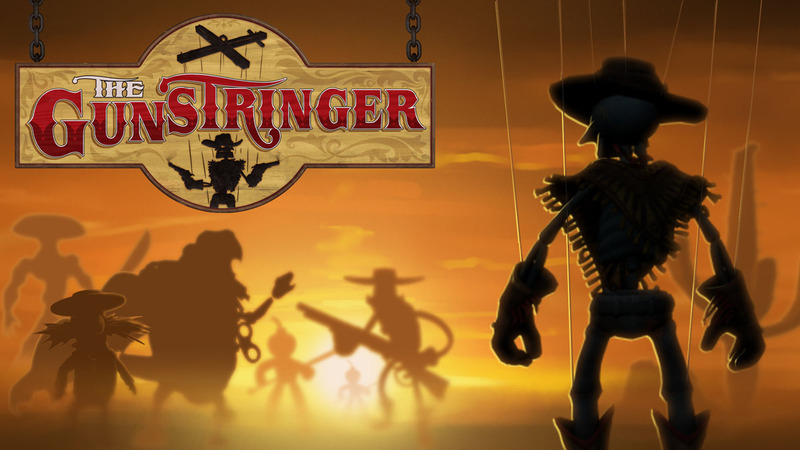 The player controls a marionette named the Gunstringer using Kinect’s unique motion-based controls. The epic tale of the lonely gunman unfolds across several acts, each performance taking place in a hand-crafted environment. 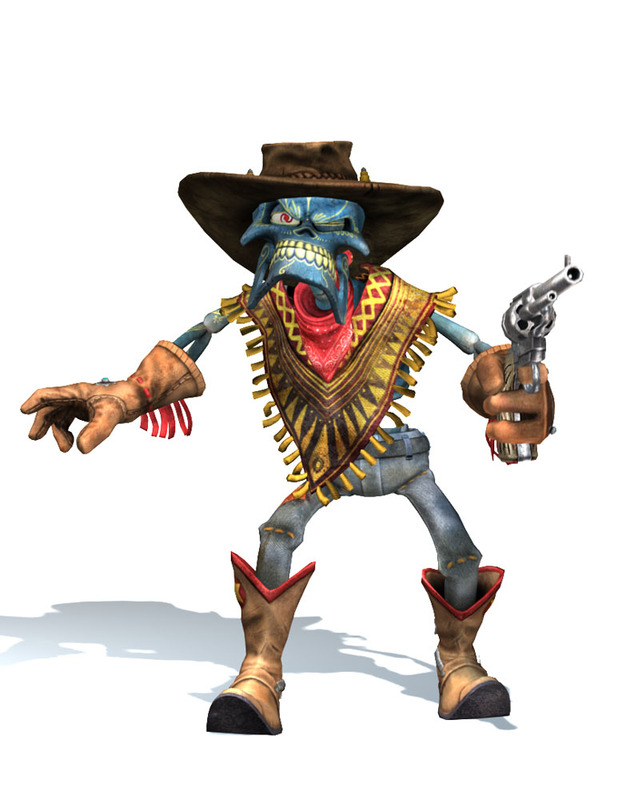 The Gunstringer has several weapons at his disposal, each tool of vengeance unleashed through the player’s gestures. The game’s lavish production features over thirty characters and countless animations. 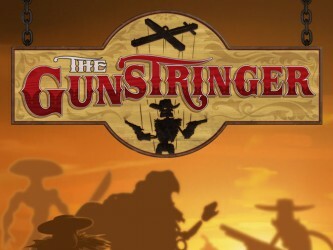 Additional information about The Gunstringer can be found at www.thegunstringer.com. The site features information about the game, the release trailer, and our developer’s blog, covering thoughts from the team as their work progresses. The Gunstringer is expected to be completed in 2011. Dan’s quest to temper the pain in his soul with violence has not yet been given an end date. Founded in 2006 by industry veterans, Twisted Pixel is the independent game development studio behind the 2009 IGF finalist and 2008 PAX 10 Audience Choice Award winning game The Maw for Xbox LIVE® Arcade, Steam, Greenhouse, and Direct2Drive. Their accomplishments continue with the successes of Splosion Man and Comic Jumper. Twisted Pixel specializes in character-driven, original IP titles that shake up what games are all about. Memorable characters, creative gameplay, and impressive presentation is our focus. Always been a fan of Twisted Pixel!